Nottingham Business School has recently hosted a prize-giving event to celebrate the success and exceptional performance of one of its students, Dharam Singh, who has just completed his second year studying BA (Hons) Accounting and Finance. Nottingham Business School recently hosted a prize-giving event to celebrate the success and exceptional performance of one of its students, Dharam Singh, who has just completed his second year studying BA (Hons) Accounting and Finance. The ceremony commenced with an introduction from Dhru Shah, Year Two tutor on the BA (Hons) Accounting and Finance course. Dharam was then recognised at the event for achieving the highest overall grade over the year. This followed his earlier achievement - in February 2015 - of being awarded the highest performance in the first half year of course assessments. 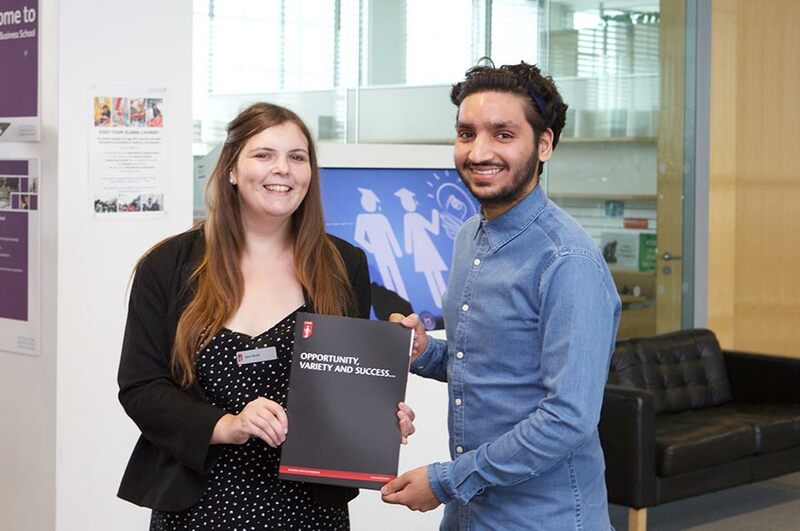 On 29 September 2015, Jane Scott, from the award sponsor ICAEW, presented Dharam with a certificate and a cheque for £100 in recognition of his achievement. Dharam progresses into his final year on the BA (Hons) Accounting and Finance course and intends to continue focusing on his academic performance and to graduate next year with a strong degree. For more information on the BA (Hons) Accounting and Finance course, visit the Nottingham Business School website or email us.